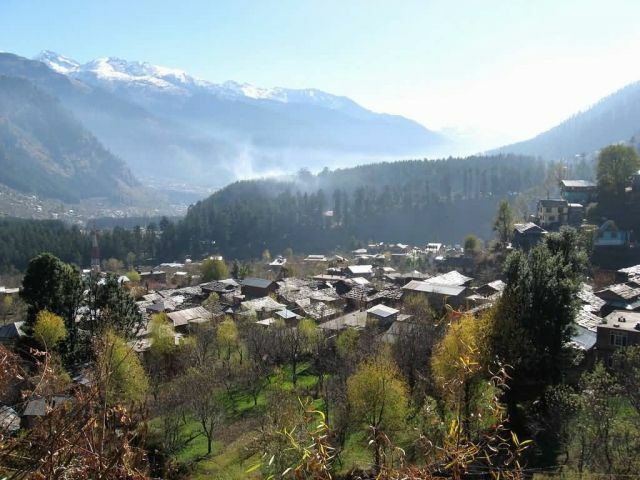 Manali, at the northern end of the Kullu Valley in Himachal Pradesh, is a hill station situated at a height of 2050m in the Himalayas. A staging point for a number of treks (Beas Kund, Chandrakhani Pass) and sports such as white-water rafting. Minimum temperature could be below -5Â°C from October to March. December, January and February are the coldest months. Rest of the year, the minimum temperature would be 15-20Â°C.